Somewhere around eight years ago, two of this city’s more scholarly cocktail makers, Ticonderoga Club’s Greg Best and Kimball House’s Miles Macquarrie, were discussing how they might drink less. Not fewer cocktails per se, but less alcohol. So, they came up with a term: Suppressor. “You’re basically suppressing the booze, and you’re enabling kind of a longer ride, as it were,” Best says. They set a rule: No ingredient in a Suppressor-style drink should be over 25 percent ABV (amount of alcohol by volume). “So a lot of the Suppressors contain aromatized and fortified wines, beers, or ciders,” Best says. 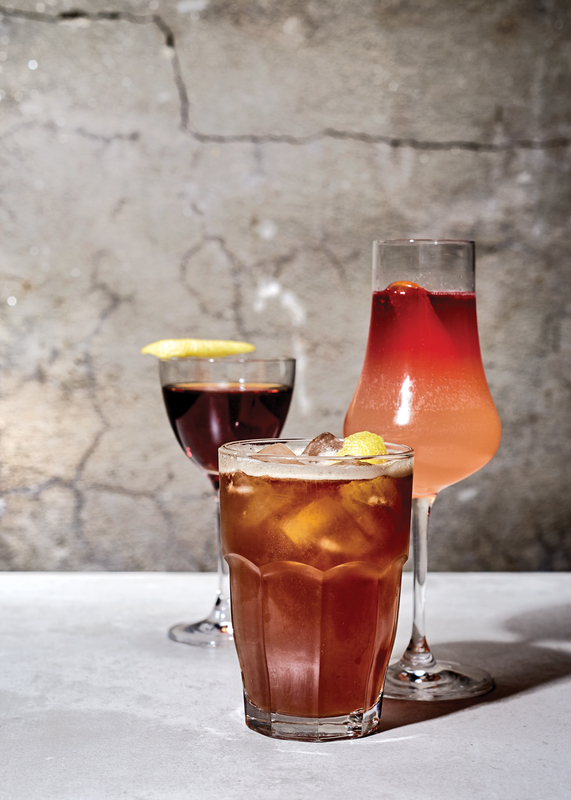 “And a lot of them took on a spritz-y profile because it’s easier to stretch something with bubbles, whether it’s sparkling wine or club soda.” Then, they asked some of Atlanta’s best bartenders to concoct their own Suppressor-style recipes and commit to keeping them on their menus. “This style of drink can be tricky,” Macquarrie says. “Fortified wines are great for acid, and amaros have that bitterness, but each of them also contains a lot of sugar, so taming that and balancing out the drinks is a fun challenge.” Suppressors became somewhat of a thing after that. And they still are. The recipes may have changed, and the term may no longer be printed on menus, but the vernacular is there. “You could walk into just about any bar in the city and ask for a Suppressor-style cocktail, and you will absolutely get one,” Best says, listing BoccaLupo, Ration + Dram, Bon Ton, Cakes & Ale, and, of course, Ticonderoga Club and Kimball House. Try it.